Filed to: Mel B.Filed to: Mel B. Looks like Mel B got the same treatment as Mary J. Blige, but a little worse. Both women are being sued by their ex-husbands for what some would deem exorbitant spousal support, and both had to cough up quite a few thousands per month for these dudes. TMZ reports that Mel has to pay her estranged husband emergency spousal support of $40,000 per month—until a final divorce decree—even though she accused the creep of abusing her, blackmailing her and getting the nanny pregnant. In addition to a cool $40,000 a month for food, rent, phone and God knows what else, Stephen Belafonte will also receive a one-time payment of $140,000 from Mel for his lawyer’s fees. 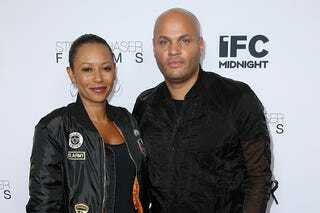 Mel (real name: Melanie Brown) filed for divorce from Belafonte on March 20 after nearly 10 years of marriage and requested joint custody of their 5-year-old daughter. She also took out a restraining order against Belafonte in April. E! reports that in 2003 he pleaded no contest in Los Angeles County to domestic battery against his first wife and did 20 days of community service instead of jail. Although Mel argued last month that Belafonte needed to get a job ... he really doesn’t. These women need to stop getting married in California.